Visual acuity refers to the smallest detail that you are able to see. Visual acuity testing, such as reading letters or shapes on a chart, measures the eye’s potential central vision or detailed vision. Visual acuity is a measure of the sharpness of sight, not overall vision quality. Visual acuity scores are written as a fraction. For example, 20/20 vision means that a person can see details that should “normally” be seen at a distance of 20 feet while 20/40 would mean that what a normal person sees at 40 feet you see at 20 feet. Visual acuity is a measure of your detailed sharp vision. It is an indication of the smallest detail that you are able to see. 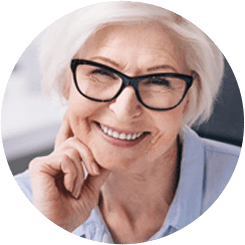 Visual acuity testing is usually performed with and without glasses or contacts to record the best visual acuity with and without lens correction. 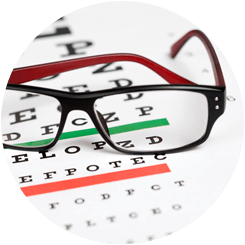 There is no preparation for visual acuity testing. Visual acuity testing is simple. Your eye doctor will use a standardized letter or shape chart. You will be asked to state the smallest item that you can see. Your eyes will be tested individually and together. You will be tested with and without your glasses or contact lenses, if you wear them. Visual acuity scores are written as a fraction for each eye. For example, 20/20 vision means that your eye sees the detail that they should see from a distance of 20 feet. A score of 20/40 means that the eye can only see detail at twenty feet that it should be able to see at 40 feet. The higher the second number, the worse the visual acuity. Glasses or contact lenses can correct visual acuity. A score of 20/200 with the best corrective lenses possible is considered legally blind. Conversely, some people may have better than 20/20 vision. For example, a score of 20/15 means that an individual can see at 20 feet detail that “normally” is seen at 15 feet. Keep in mind that 20/20 vision is considered a testing norm for detailed vision only. It is useful for monitoring vision changes and for testing corrective lenses. It is not a measurement of overall eye health or functioning.